Europa League: Gary Cahill must play! Home Features Champions League: Gary Cahill must play! Champions League: Gary Cahill must play! Chelsea’s Champions League campaign kicks off on Wednesday night as the Blues welcome the visit of FC Basel to Stamford Bridge. As much as Jose Mourinho has mentioned the Europa League triumph as somewhat of a successful failure, in that we won a trophy, but were knocked out of the Champions League, it’s ironic that the group stages bring two familiar foes from last year’s Europa League in Steaua Bucharest and FC Basel. Familiarity sometimes breeds contempt, and last year’s players should remember that although victory came against both teams, it wasn’t as if it was as easy as the scorelines would indicate. Both teams had their moments, but last year’s side was resilient enough to turn them away. For Basel, this season should be a similar side to last season’s mode. Murat Yakin remains the manager of the team this season and there has been very little significant player movement in and out of the side that we faced last year. However, Yakin has been tinkering a bit with his side, trying to find the right combination to improve on last year, though Basel was nearly eliminated by Maccabi Tel-Aviv in the Third Qualifying Round, winning by a 4-3 aggregate, despite carrying a 1-0 lead into the away leg. In this year’s Super League, they have only found defeat in 1 match from 7, against FC Zurich, though have also managed 3 draws amongst 3 wins. 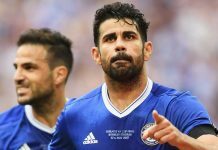 For Chelsea, they met defeat for the first time at Goodison Park against Everton last Saturday and will be looking to bounce back. Samuel Eto’o made his debut in blue and may be looking to start again on Wednesday night. Jose Mourinho has confirmed that Oscar and Frank Lampard will start against Basel with both having made substitute appearances late while chasing the game. The real question will be the makeup of the rest of the starting 11, with John Mikel Obi a doubt due to a knee injury, and Michae Essien has not been registered for the competition. Last season, Basel seemed a tad overawed in the first leg at home, but played well in the second leg at Stamford Bridge, taking a lead in the first half. The Swiss side will be looking to repeat that trick again on Wednesday night. Murat Yakin has made some changes from last year, but he’s still trying to find a shape that he likes. The real intriguing thing about this Basel side is that their manager has been tinkering with formations from 4-4-2 to 4-2-3-1 to 4-1-4-1 in an effort to improve his team. One reason they were so effective last season was the balance of the midfield involving two passers and a ball winner, but with all three having the ability to play intelligently on the floor. The issue Yakin is having is that he has added two midfielders in Taulent Xhaka and Matias Delgado and another striker in Giovanni Sio into the mix, and he’s been trying to figure out his best 11. Last season, it was the passing of Fabian Frei and the relentless pressure of Serey Die that gave us problems in the midfield area, but Die has not featured in this campaign, with Yakin preferring others to that position, most likely given the exorbitant number of rough challenges and potential yellow cards that Die brought last year. He’s also been tinkering with how best to deploy his forwards, with the 32-year-old Marco Streller still playing effectively, but with the younger Sio beginning to make his mark by finding the net 3 times in this campaign in 4 appearances. The question will be whether Yakin takes this moment to experiment with a 4-2-3-1 that employs two deeper midfielders with a number 10, or if he resorts to the 4-1-4-1 that was successful last season in the Europa League. The two dangermen are still the same. You must contain Mohamed Salah and Marco Streller. Last season, it was the 21-year-old Salah who burst on the scene with his searing pace and ability to unsettle defences. Against Tottenham, he roasted both Benoit Assou-Ekotto and Kyle Naughton from his right sided position over two legs and replicated the feat at Stamford Bridge, giving the Swiss side the lead at the stroke of halftime and equaling the tie away from home. This season, he’s still been in good form with 4 goals so far this season, and his skills will once again be tested by the presence of Ashley Cole. Marco Streller is their talisman and their main striker, and last season, he managed to give our centre backs fits with his pace and strength with and without the ball. The one thing Streller excels at is his ability to link play, but also get behind the defence. Last season, he showed the ability to drag both David Luiz and Gary Cahill out of position and open up space for others, while also making good runs to get goalside of both when needed. He will have to be watched carefully, as it’s not just his importance as a striker, but his intelligence to open up spaces for others. We cannot forget about Fabian Frei. The young Swiss midfielder may be the hidden gem amongst the more headline-grabbing Streller and Salah. It was Frei that over last year’s two legs combined the ability to not only pick up a pass, but to pick the right moments to get forward and make runs into the box. Last year, combining with Die, he gave our midfield absolute fits in the first leg at St. Jakob’s Park, and you could argue that he completely pulled all the strings in midfield. His influence was much the same at Stamford Bridge, though it was nullified by a pile of missed chances and off-target shots from his teammates that lessened his performance slightly. However, he’s still a quality young midfielder, and he will once again face the task of playing against the midfield of the Blues, which may actually be stronger than last season. If there was one player that stood out in last year’s matches with Basel, it was Hazard. Playing in a more central role, he gave the Basel midfield defensive fits with his ability to turn and run at the defenders. Though his efforts often came to nothing, it’s notable at how easily he was able to roll defenders off of him with a turn and then accelerate away. Basel simply had no answer for his pace. It wasn’t his fault that the midfield of Lampard and Luiz wasn’t terribly effective. This time around, we should see him in a more familiar left-sided role with Oscar playing as the number 10, and that should be even more concerning for Basel. Say what you will about the abilities of Juan Mata and his curious absence, but I don’t think it’s a coincidence that the attack looks much more fluid with Oscar in the team than without. Part of that is down to his movement off the ball and his ability to switch and link with a creative left-sided player who comes inside, a la Hazard, at the international level with Neymar. I’m not comparing Hazard and Neymar, but I think Oscar is much more suited than Mata to link with the left, as he often interchanges with Neymar in the Brazil setup and seems much more comfortable with that type of player on his left. If the two begin interchanging positions, as they did against Hull at the start of the season, Basel may find it very hard to mark both men, especially if they don’t employ a true shield for their back line. This is something that I think I’ve just noticed more this season than in previous. It’s always been in my head, but I don’t think it’s ever been as clear or pronounced as it is this season, nor have I put it on paper. Gary Cahill is main link to how the central defence functions. It’s something that I found much more noticeable in his absence against Everton than I have in past matches or the past two seasons. Regardless of whether he partners John Terry or David Luiz, he always plays a secondary role to each. What I mean by that is that he’s the one that plays the second ball rather than the first. While Terry and Luiz prefer to attack the first ball, Cahill is content to cover in behind and sweep up anything that comes behind. It’s especially helpful with Luiz, as Terry’s adapted his game to play more on reading of the game rather than physical gifts, whereas Luiz tends to take chances to nick the ball before the attacker reaches it. In my mind, Gary Cahill is a part of the two first-choice centre back pairings because he compliments Luiz or Terry better than Terry compliments Luiz. While Terry has the best read on the match and Luiz may be the more physically gifted in terms of strength and pace, Cahill is a dichotomy of a bit of each, and in the end, is the perfect compliment to either. His only weakness, however, is one-on-one defending, but that has been lessened this year with the way Mourinho has deployed Branislav Ivanovic.